Download our board of directors structure chart. Our six clinical divisions report to the Board through our Chief Operating Officer. Read more about our divisions in our structure. Anthony Warrens was appointed in June 2011. A qualified doctor with a clinical practice in renal medicine and based principally at Barts Health NHS Trust, Anthony has a particular interest in transplantation medicine. He recently completed his term as President of the British Transplantation Society. 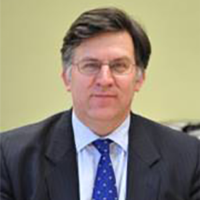 Since 2010 he has been Dean for Education at Barts and The London School of Medicine and Dentistry, where he has reorganised educational structures within the School and improved basic science teaching. Jackie is a charismatic and energetic senior leader with experience of delivering commercial success within the tightly regulated environment of the Pharmaceutical Industry. She is highly experienced in change management and UK and Global marketing leadership. She has a strong customer focus with a track record of effectively working alongside the NHS. Jackie led the compliance function for the European Pharmaceutical Business of her company and has worked alongside audit teams to implement changes. 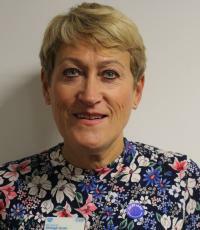 Jackie is a Non Executive Director of the British School of Osteopathy, a Director of Healthwatch Bucks and a Trustee of an Academy Trust in East London. Tom was appointed to the Board in April 2017. He has previously held senior Board roles as Chief Executive, Chief Operating Officer and Group Finance Director in commercial multi-site retail operations within the pharmacy, transportation and leisure sectors. 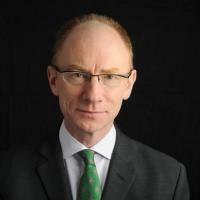 Most notably Tom spent 15 years as an executive board member of the Tote and served on the tripartite working group comprising HM Treasury, Home Office and the Tote looking at future options for the Tote. Tom is a Non-Executive Director for three other companies including at an international language school charity and at Kent & Medway NHS and Social Care Partnership Trust where he is also currently its Audit Chair. 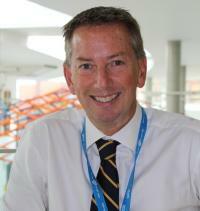 Tom has now taken over as the Chairman of the BHRUT Audit Committee. Joan Saddler OBE was appointed in September 2014. Joan spent five years as the National Director of Patient and Public Affairs at the Department of Health, and is now responsible for national policy and practice in public and patient involvement at the NHS Confederation. She previously served as the Chair of Waltham Forest PCT. 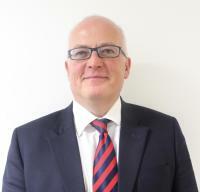 Chris Bown was appointed interim Chief Executive in August 2018. He performed the same role for our Trust for a short period in 2017. Chris has more than twenty-five years of experience of working in senior leadership roles in the NHS and has helped to transform several Trusts that have experienced financial and organisational difficulties. Before joining us, Chris was leading the work of twenty-one partner organisations that make up the Bath and North East Somerset, Swindon and Wiltshire Sustainability and Transformation Partnership (STP). 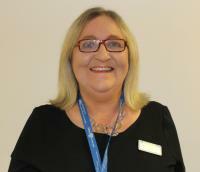 Shelagh Smith joined our Trust as Divisional Manager for Clinical Support Services in 2007. Then worked as Divisional Manager for Emergency Care and Medicine and the Women and Child health. 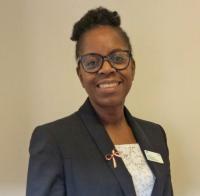 More recently she was Director of Operations for King George Hospital, then the Deputy Chief Operating Officer for Emergency Care until the recent appointment as Interim Chief Operating Officer. Kathryn joined our Trust in January 2016 from Walsall Healthcare where she was the Director of Nursing. 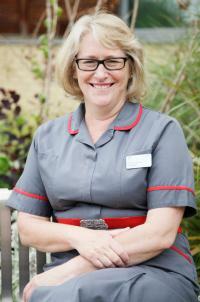 She qualified as a registered nurse in 1984 and then as a registered sick children’s nurse in 1987. Since that time she has held a number of senior nursing roles within secondary and tertiary care settings and has led a number of national programmes including a focus on new roles and an independent review into children’s palliative care whilst working at the Department of Health. After studying engineering at Exeter University, Nick qualified as a chartered accountant with Touche Ross in 1988 and then spent five years in New Zealand in both practice and commerce before starting a family and returning to the UK. Nick brings over 20 years of board experience in a variety of international finance roles, most recently as Chief Financial Officer for British Airways, from 2010 until 2016. Since then, Nick has studied part-time for an MSc in Health and Medical Science at University College London, was a non-executive director at East and North Herts NHS Trust and is a trustee at the girls education charity Camfed. Nick lives in Hatfield with his wife Jude and their two daughters. David Amos works as a healthcare HR and public services management consultant with a wide range of NHS and other organisations. He has had an extensive career in healthcare human resources leadership and general management. 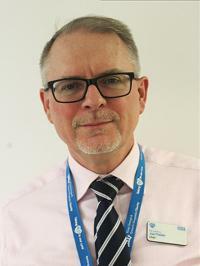 After ten years in hospital general management, he was the HR director at St Mary's Hospital NHS Trust and the Workforce Director at University College London Hospitals NHS Foundation Trust. Between the two HR director roles, he spent five years at the Department of Health, which included being the Deputy Director of HR for the NHS, responsible for recruitment and retention. He spent a year at the Cabinet Office leading a project to promote jobs and skills across the public services during the economic downturn. 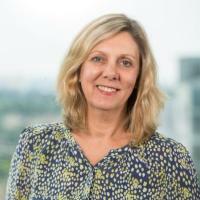 Dr Magda Smith has been a consultant physician and gastroenterologist at Barking, Havering and Redbridge University Hospitals NHS Trust for more than twenty years. She has combined her consultant role with a number of leadership positions including Clinical Divisional Director and Associate Medical Director. She is passionate about delivering good care to patients, developing teams that combine the best skills of all their members and ensuring that the voice of the patient is always listened to.